2. 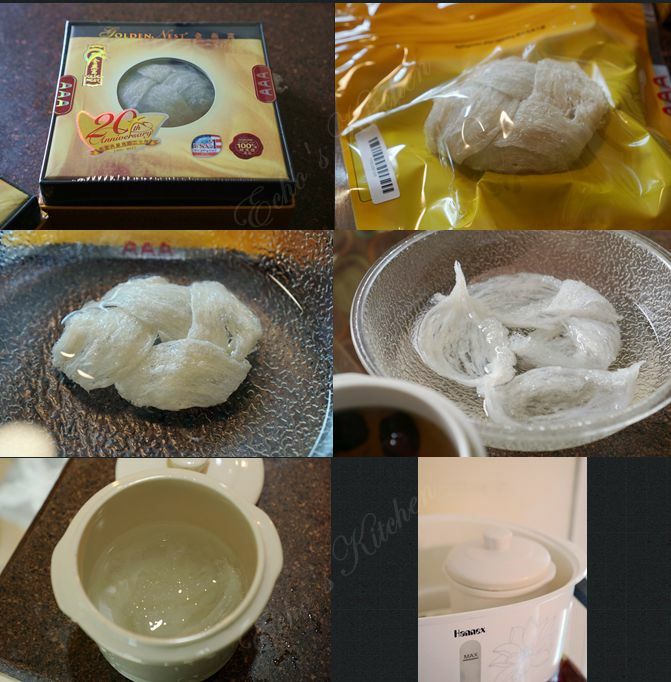 Place soaked bird nest with 1 cup of water into a Stew mug with lid and steam for 45 minutes. 3. 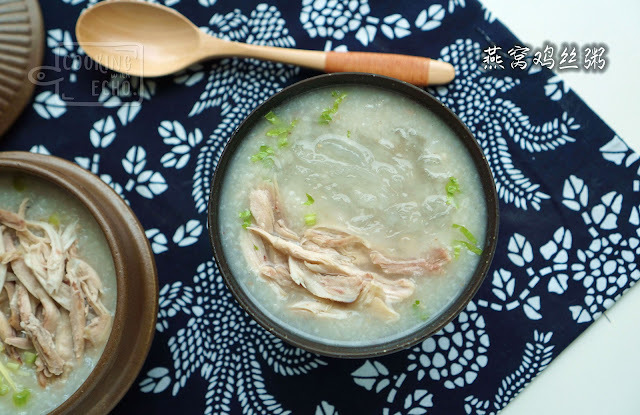 Clean the chicken pieces, place the chicken, ginger slices, dried scallop, 5-6 cups of water in a cooking pot, bring the soup to boil and turn to medium low and cook for 35-40 minutes, or until chicken become tender. 4. 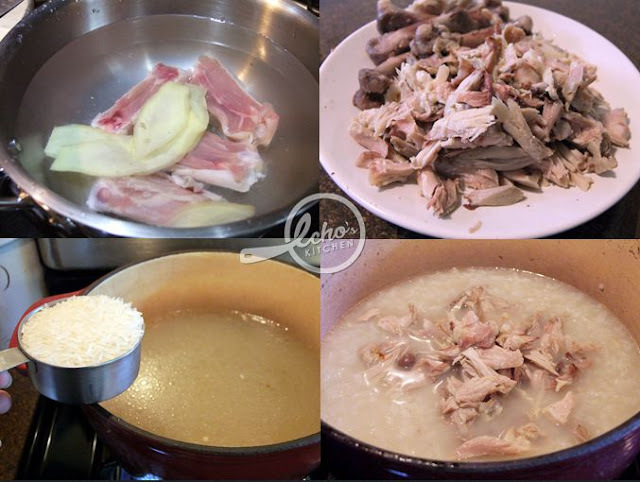 Dish out the chicken and ginger, throw away the ginger and let the chicken cool down a little before breaking it into smaller size/pieces with hand. 5. Meanwhile, clean 1/2 cup of rice and add it to the stock and cook at medium heat for 30 minutes or until the rice are tender and become thick. Stir a few times to prevent sticking to the bottom. 6. Add the chicken pieces back to the congee, continue cooking for 5-8 minutes, season with some pepper and sesame oil. 7. 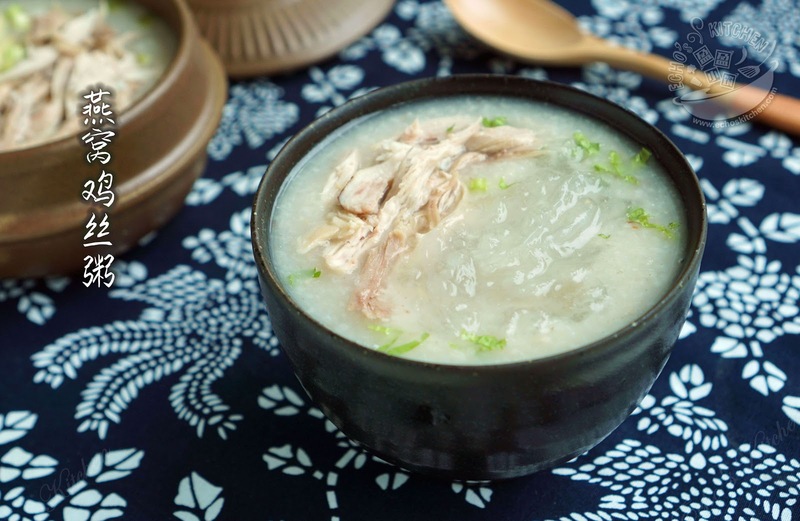 Add 2 tbsp of cooked bird nests over the congee before serving.